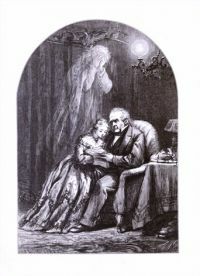 Thomas Nast’s illustration for The Ghost. Since spring is the time of the year associated with awakenings and reawakenings, this roundup will focus on articles and new research that at the very least may widen your eyes. Just in case you did not think philosophers or psychologists could rate on the popularity lists, check out these two lists, one from Prospect Magazine as reported in The Guardian and one from the British Psychological Society Research Digest. If you want to vote in for this year’s top philosophers, you can go to Prospect Magazine’s voting page. Now we can worry about popularity contests! It’s high school all over again. If that doesn’t open your eyes, maybe you need something more sensual—as in something to stimulate your sense of smell. Red Orbit reports that the human nose is capable of perceiving a trillion different scents, significantly more than the tens of thousands researchers previously believed our noses capable of detecting. The importance of this may not be readily apparent, but scent is a very powerful trigger of memory and emotion, in addition to its role in taste. A sense of smell is very much part of the embodied experience in the here-and-now. However, maybe you would like to step out of your body for a moment or two. Salon reports on “Near Death, Explained,” which combines the phenomenological reports of patients who have had near death experiences with the neuroscience of that same experience. The article is filled with fascinating anecdotes of near death experiences and the various scientific attempts to explain them. Needless to say, our scientific knowledge still has not caught up to our experiences—but keep trying, scientists! For more of the breadth and depth of human experience, read Paul Kiritsis’s blog post “Down the Rabbit Hole,” in which he details his “nocebo” effect of having convinced himself at the age of 12 that his symptoms of “wrongness” were AIDS, a belief only disproved nine years later when his symptoms were so bad he had to see a doctor and get a blood test. Only then did he discover that he did not have AIDS or the HIV virus. But he describes the awesome power of this “nocebo” effect on his own psyche and how it completely reoriented his worldview. Maybe you might be surprised by this article in Psychology Today: “When Worrying Works.” How often are we told that worrying is an inefficient, ineffective state of being! Unlike fear, it is not evolutionary and does not help us escape from predatory creatures when necessary. And unlike concern, it does not show how much we care for another’s pain because worry is very focused on our own suffering in regard to someone else’s pain or a situation out of our control. But Nathan Heflick’s article reports on research by Myra Tamir at Boston College that indicates worry may actually be helpful for some people in some situations—that it may sometimes improve performance. In this research, Tamir had participants who ranked high in the trait of neuroticism and thus were prone to worry, to recall situations in which they worried, before performing difficult word tests. Those who recalled the worrisome situations actually performed better on the difficult tests, supposedly because of the congruence between the state and the trait. And with that, this voice from cyberspace will disappear, at least until next week.